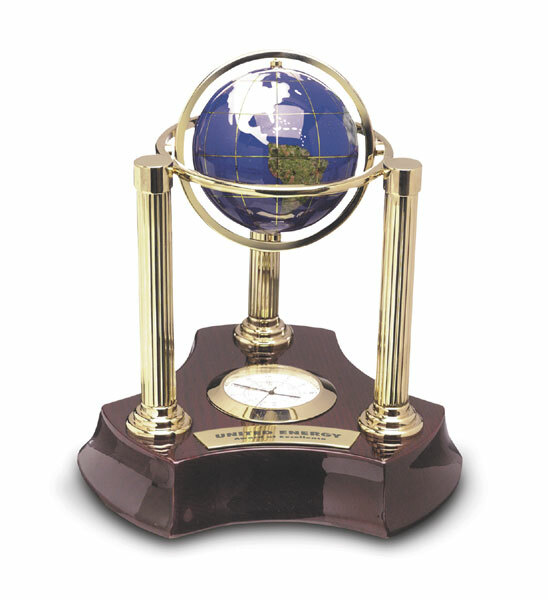 Promotional Gemstone Clock.A gimbled and spinning globe is suspended above a beautiful quartz movement. This exquisite piece is beautifully appointed with brass and a rosewood base. The globe is magnificently composed of over 30 gemstones.